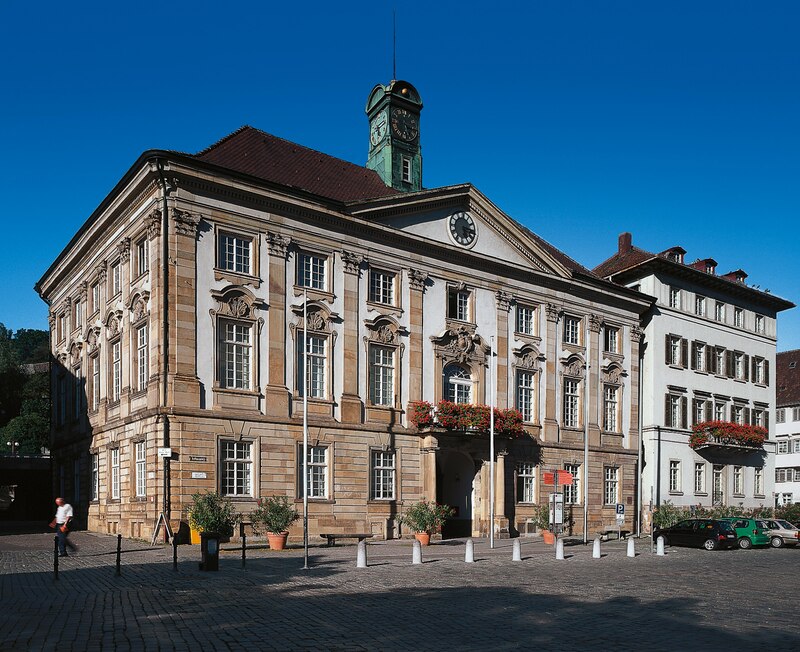 Opposite the Old Town Hall stands the New Town Hall, a town palazzo belonging to the Freiherr Gottlieb von Palm, built between 1748 and 1751. At first glance one can easily see that the owner was no poor person. Palm was a descendant of one of the leading families and had this splendid town residence built. Proof of this can be seen on the outside with the high windows crowned with shell decorations, the curved gables and the elegant balcony. The entrance for the carriages made it possible for the baron always to reach his “Belétage” with dry feet. By the 19th century the Palm family had long since moved out. So it was possible for the mayor to move in here from 1850. From then on the “Palmsche Bau” was the New Town Hall. The Lord Mayor of about 92,000 Esslingen citizens still has his official seat here.